Cape Town – Whether KPMG will ever be allowed to do business with the office of the Auditor General will depend largely on the outcome of investigations into the private auditing firm and whether its leaders can eradicate poor adherence to auditing disciplines. This is according to Auditor General Kimi Makwetu who spoke to Parliament’s Standing Committee on the Auditor General on his office’s decision to cut ties with KPMG and Nkonki Inc after concerns of adherence to risk management practice and independence. 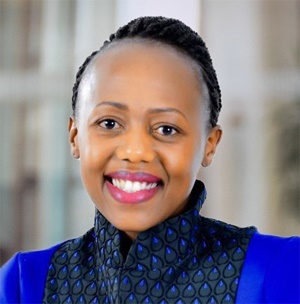 Upon learning in April that the Auditor General had taken a decision to terminate the contracts of KPMG, the firm’s CEO Nhlamu Dlomu told Fin24 that she was hopeful that the decision was temporary. Losing the Auditor General account to audit departments and entities in the public sector was a huge blow for the firm. The firm landed itself in hot water when the Companies and Intellectual Property Commission laid criminal charges against it over a report it compiled for the SA Revenue Service. Makwetu said there was no finality to its announcement to stop doing business with KPMG, and that the decision was made with a view of protecting the integrity of state department and entity audits for which it was responsible. "You cannot fault someone in her position for saying that. That is obviously what she hopes will happen. In reality, what will happen will be determined by the outcomes of processes that are underway. "For someone in her position you want to give them an assurance, but it is largely in their hands,” Makwetu said. He said his office would monitor ongoing investigations and developments into the firm to assist it in deciding if or when to discuss bringing KPMG back into the fold. However, he stressed that the path to recovery and rebuilding brand trust was long for KPMG. “We are not banning them. Once these things that make us uncomfortable become resolved sustainably, we will then start looking at what that means for your continuation of providing services to us,” said Makwetu.